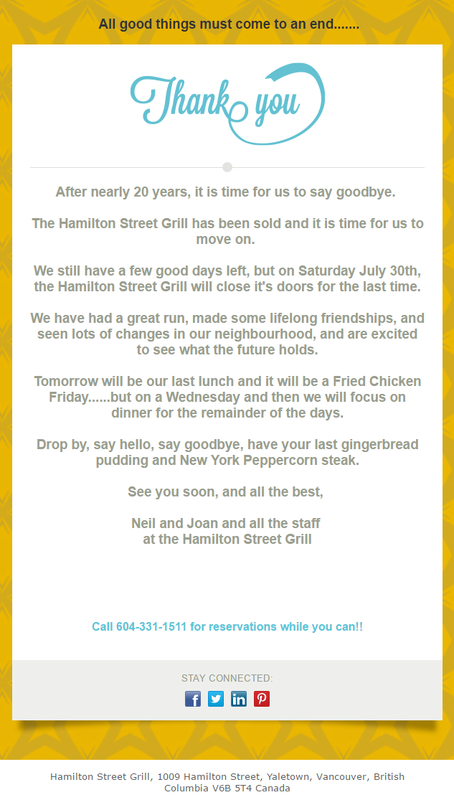 Sad news -- July-30th will be the last day for the Hamilton Street. Your last chance to get their famous Gingerbread Pudding. Thank you for Steak Month every June. All the best to the captain and crew.